Job Page - Attach a File and More. 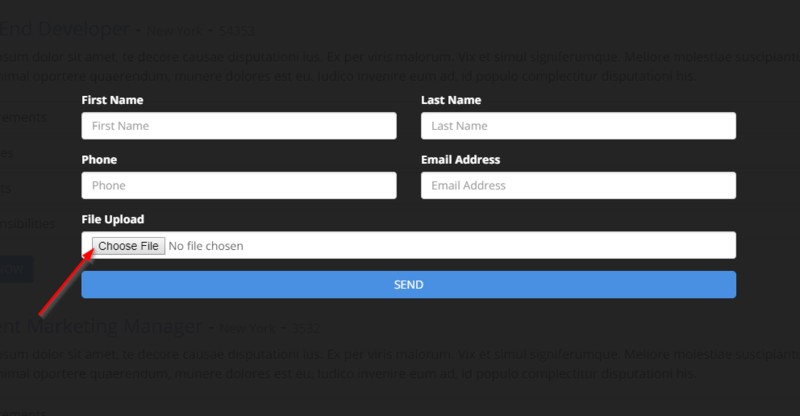 Now, when clicing the 'Apply' button, a new form will be open to fill in directly on your website. We have also added the option for the user to upload a file on the form (the upload file has a limit of 5MB). This way, they can not only apply to a job position, but also attach their CV! More than 2357 SITE123 websites created in US today!